Home > For People - SALE! > Must Love Dogs - SALE! 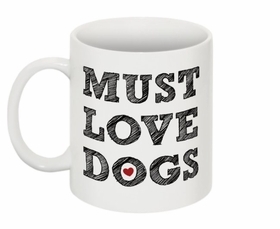 Must Love Dogs - SALE! Must Love Dogs. Wise words to live by, printed on both sides of the mug. Every dog lover needs one! Dishwasher safe.